Torrey Collins will exhaust all nymphing possibility before moving to another location. His patience on the water and willingness to change his tactical approach is one reason he’s so successful. While watching Horton Hears a Who with my kid, I was reminded of the difference in tactical approach between a nympher blindly fishing a run versus a dry fly angler targeting a rising fish. The latter situation the angler can see a target but the former is simply anticipating a fish is there. 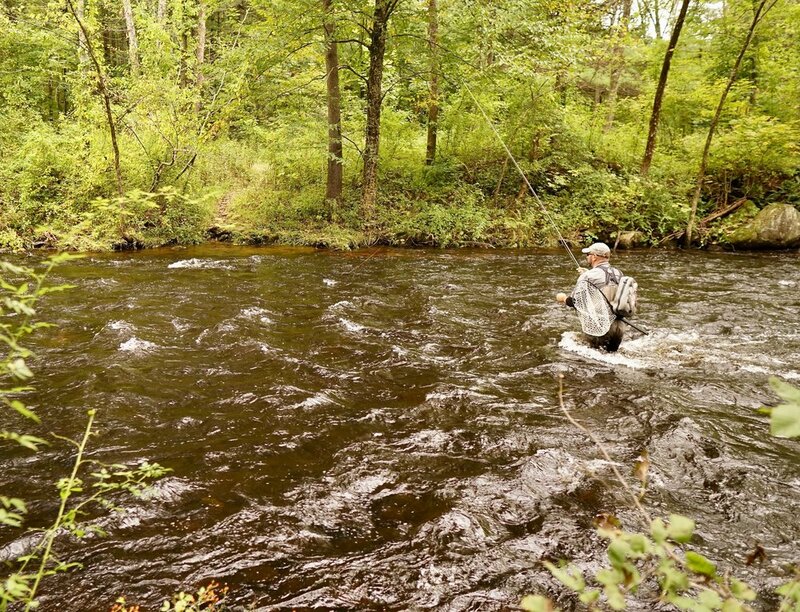 I feel this difference of actually seeing a trout rising versus hoping a fish is near may determine how much effort an angler puts in their presentation. There’s a great quote from the movie that mirrors my attitude when blindly nymphing a run. The quote is from Jane Kangaroo exchanging words with Horton, who thinks he hears a who but Jane can’t see or hear what Horton is speaking of. 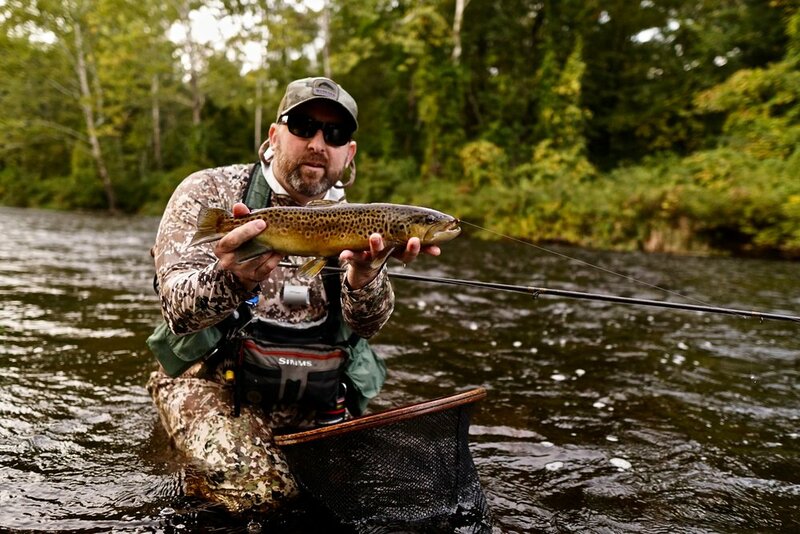 The quote goes something like “If you can't see, hear or feel something, it doesn't exist.” This made me think about the difference in tempo in which some anglers blindly nymph a run versus targeting a rising fish with dry fly. There’s some sort of focus button that turns on when an angler sees a rising trout, especially one that consistently rises. When an angler fails to fool a consistent riser, they’ll switch patterns or tactics due to constant refusals. They know the fish is there but understand they need to change tactics as the result of the trout refusing their offering. I know I’ve spent over an hour targeting a specific rising trout but will move within five minutes if I fail to nymph up a fish in a good run. But there are few nymph anglers who exhaust the same effort (i.e. staying in one play exhausting all presentation possibilities) when nymphing a run. So often I hear myself or clients saying while unsuccessfully catching a fish in a good looking run, “HUH, I can’t believe there’s not a fish there.” Meaning, we assume we’re doing everything correct so we need to move to another location to find a fish. We need to change the wording we tell ourselves. This is why I’ve been changing my nymphing psychology over the years. I can’t assume I’m doing everything correct when failing to catch a fish in a spot I know holds fish. Instead, I need to assume there’s a fish feeding on the bottom (just as the same fish would be fishing on the surface) and need to make a change. I can add weight, decrease weight, change the angle I cast my nymph, change patterns, or maybe change my position. Approach high probability areas the same as you would if you see a steady surface feeder-assume you’re getting a subsurface refusal and begin to change tactics as you would to a rising fish. Again, this applies to spots you know hold fish all day and year round. And maybe one’s nymphing success would increase if the sub surface angler developed the same patience of a typical dry fly angler targeting a riser? Just remember not to loose confidence in a high probability area when blindly fishing a spot. You know there’s a feeding fish there, so assume something is wrong with your current approach and make the change. In short, don’t be a Jane Kangaroo. Changing casting angles pays off for Torrey Collins.